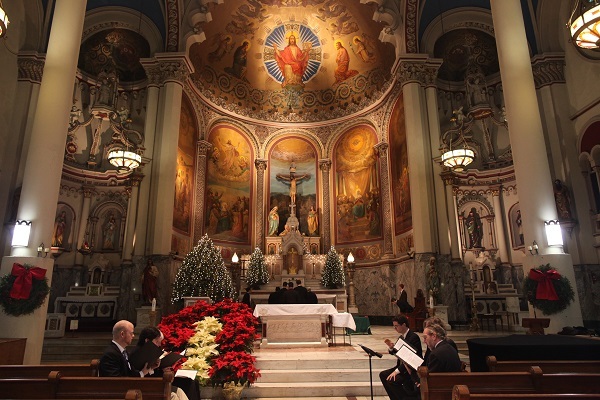 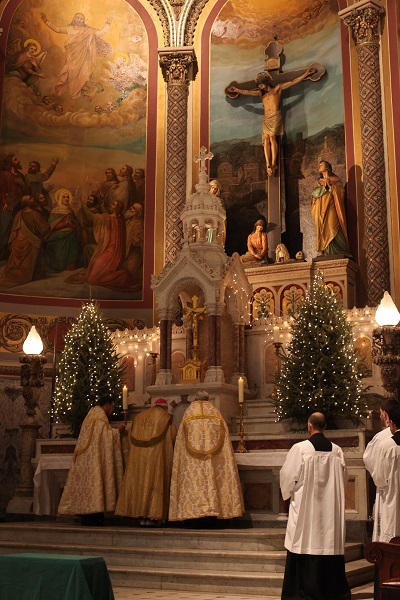 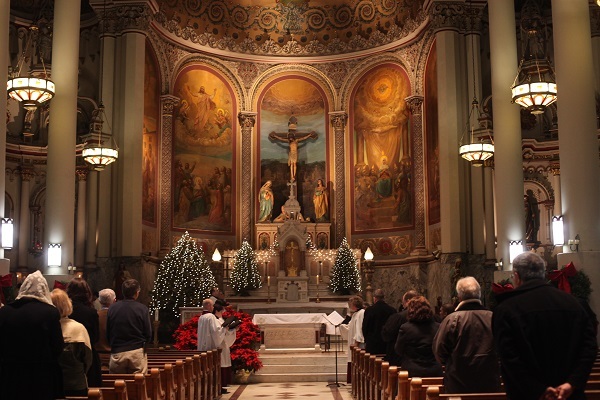 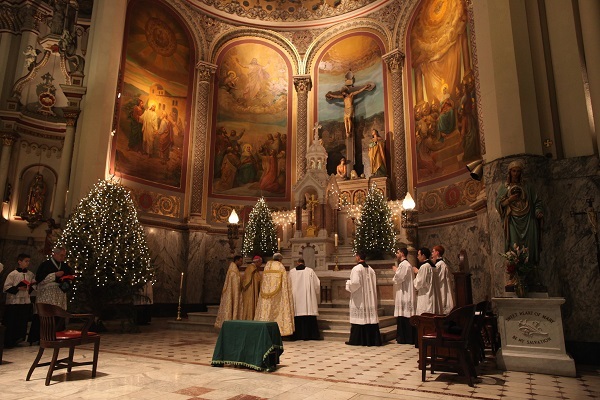 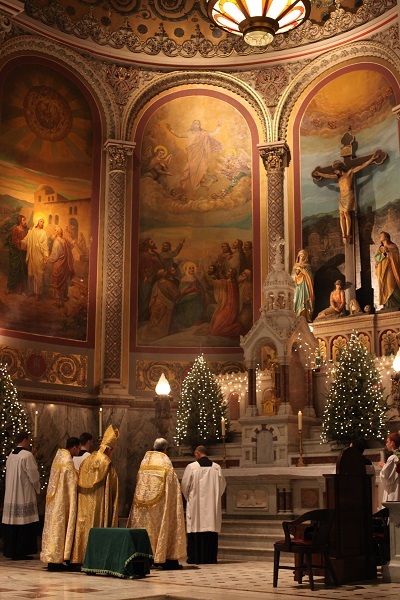 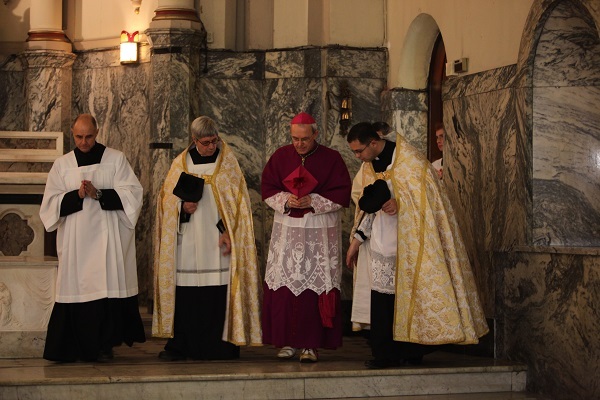 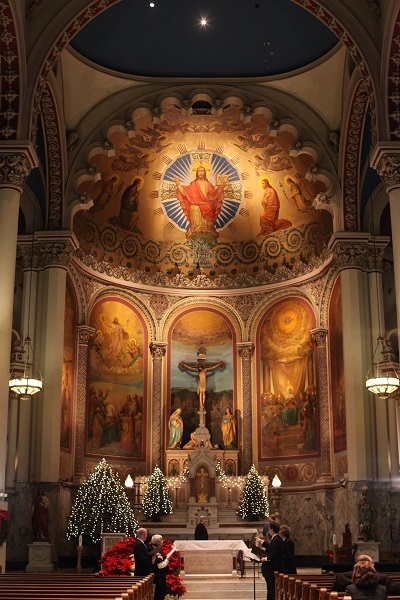 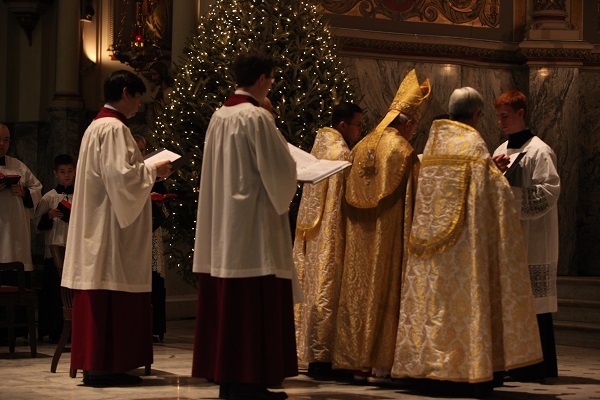 The visit of Bishop Athanasius Schneider, Auxiliary Bishop of Astana in Kazakhstan, to the New York Metropolitan area, ended on an exalted, even mystical note at Second Vespers for Epiphany at the Redemptorist church of the Most Holy Redeemer on East 3rd Street in Manhattan. 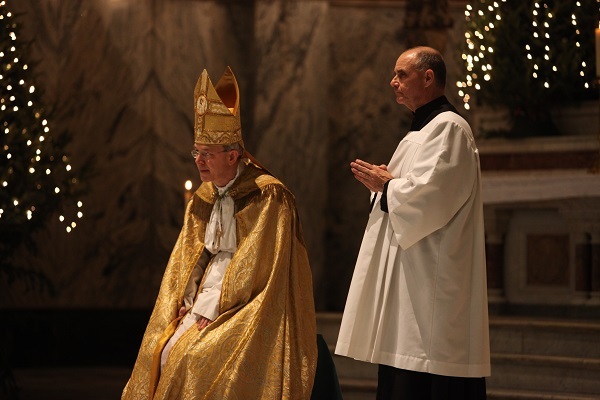 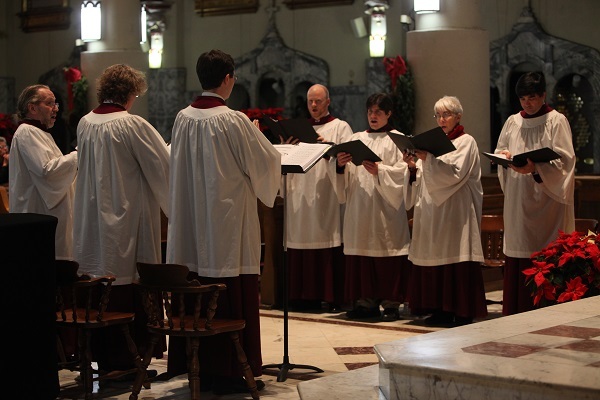 It was appropriate that Bishop Schneider, the descendant of German immigrants to Imperial Russia in the 19th century, should conclude his visit at a parish created by 19th century German immigrants to the United States. 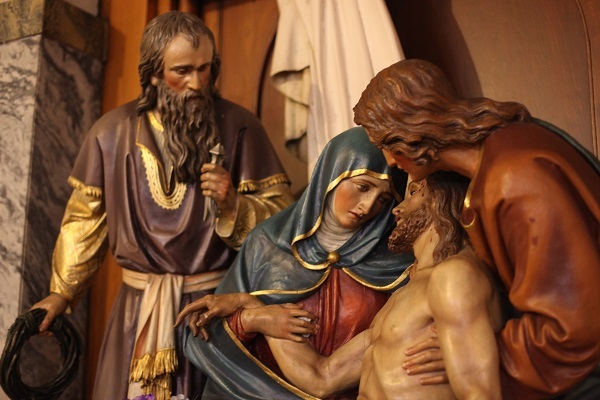 The half-Byzantine, half-Baroque church features life-size polychrome statues, rococo altars, wax effigies of saints and splendid stained glass. 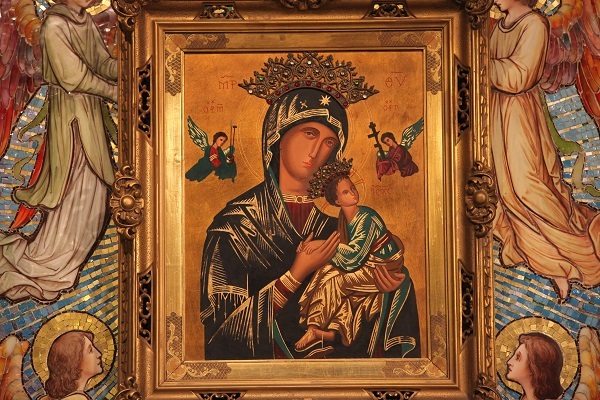 Our Lady of Perpetual Help – “Make Her Known!” was the charge to the Redemptorist order. 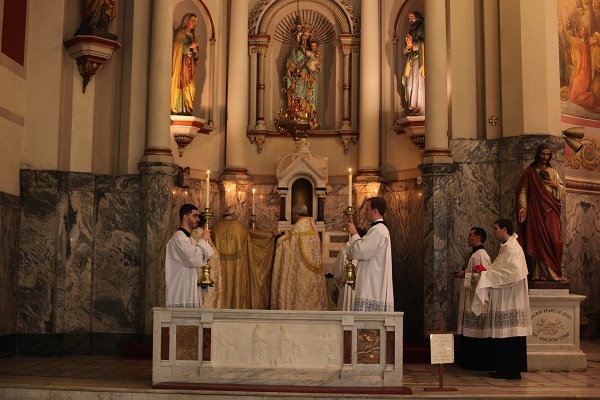 At the Altar of the Blessed Sacrament.